(I'm posting regularly WOOHOO!) 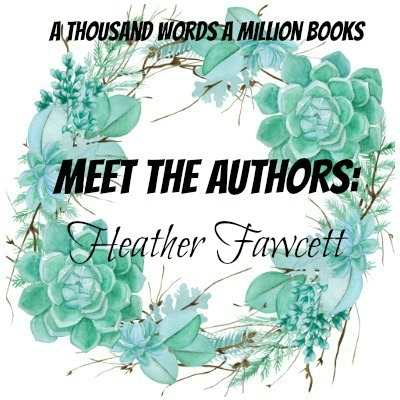 I have with me today the second last author of September's Meet The Authors. I'm going to start working on the October edition of this as soon as I can and I hope you love it as much as I've seen all of you lovely souls love this one! I have with me today another debut author, Heather Fawcett, whose GORGEOUS book, Even The Darkest Stars released JUST this last Tuesday, the 5th, and I personally cannot wait to get my hands on it and start reading. 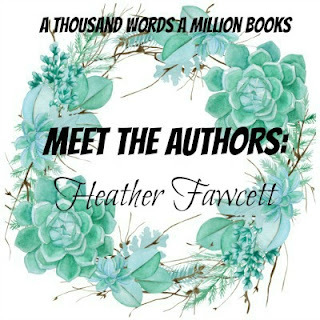 Heather is here with an AMAZING Interview and an equally amazing giveaway and I hope you have fun virtually meeting her. 1. If you could go anywhere in the world through a magic teleporter, which three places (fictional or otherwise) would you visit? Ah, great question! Since fictional worlds are an option, I'd say Red London from the Darker Shade of Magic series (just finished it; loved it) and the Oxford of Philip Pullman's His Dark Materials books (because who wouldn't want a daemon?). And for the third, I'll go with the International Space Station, because seeing Earth from space would be incredibly humbling. 2. What's your Hogwarts house and what's your Patronus? As a lifelong geek, I've always assumed I'd be in Ravenclaw, but I've been sorted into Gryffindor a few times in online quizzes. I usually refer to myself as a Ravendor but, since the hat takes personal choice into account, I'd probably end up in Ravenclaw. Knowledge is power. As for my patronus, I like to think it would be a raven or a crow, because they've always struck me as very observant creatures--a prerequisite for a writing career! 3. If you could get locked in a library or in a bookstore, which one would you choose? I mean, libraries have wifi, bathrooms, and vending machines, so I'd go with the library. There's my practical Ravenclaw brain at work. It's about a teenage girl, Kamzin, who yearns to escape her predictable life in her small mountain village by becoming one of the Emperor's explorers. She meets up with famed explorer River Shara, who hires her to lead his expedition to the deadly Mount Raksha. It's also about siblings: when Kamzin's sister, Lusha, sets off for Raksha on a mission of her own, Kamzin is torn between wanting to protect her sister and wanting to beat her to the summit. Oh, and there's magic, romance, and twists. Lots of twists. 5. 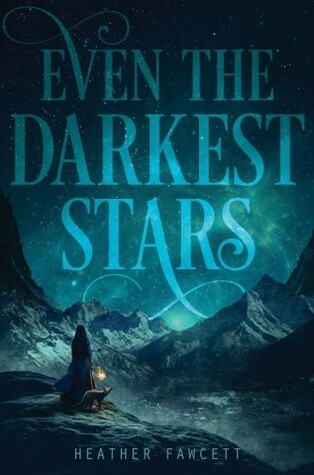 What was your favourite scene to write in Even The Darkest Stars? Good question...I enjoyed writing all of the climbing scenes--I enjoy rock climbing myself, so it was fun to put that to use. 6. What are you currently working on? Any hints on the when we'll see another book from you? Currently, I'm working on the sequel to Even the Darkest Stars. I don't have the date yet, but it should be out about a year after Book 1! 7) And finally, if you could meet any one of the characters in Even The Darkest Stars in real life, which one would it be and why? Honestly, I'd probably say River. He'd be an interesting person to talk to. Runner up would be Mara, because he's the storyteller, and I love stories. Blurb Description: Kamzin has always dreamed of becoming one of the Emperor’s royal explorers, the elite climbers tasked with mapping the wintry, mountainous Empire and spying on its enemies. She knows she could be the best in the world, if only someone would give her a chance.